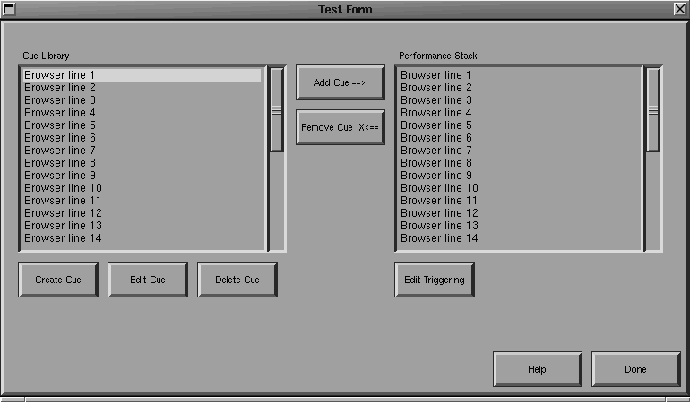 The preliminary version of q2q is being built using the XForms library under a Linux/X Window environment. This application is far from complete, but some screen shots of the forms under development can help give a feel for what the application will look like. Figure 112: Preliminary form for ``edit cue'' function. Figure 112 shows the form for the cue editing function. Controls are available to control the length of the cue, and whether or not the cue repeats. Audio events from the internal event library can be added and cued at different time intervals, adjustable by the user. 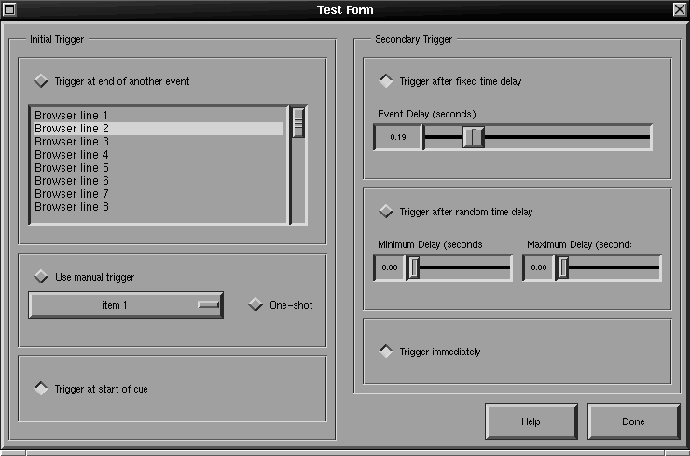 Figure 113: Preliminary form for ``edit event trigger'' function. 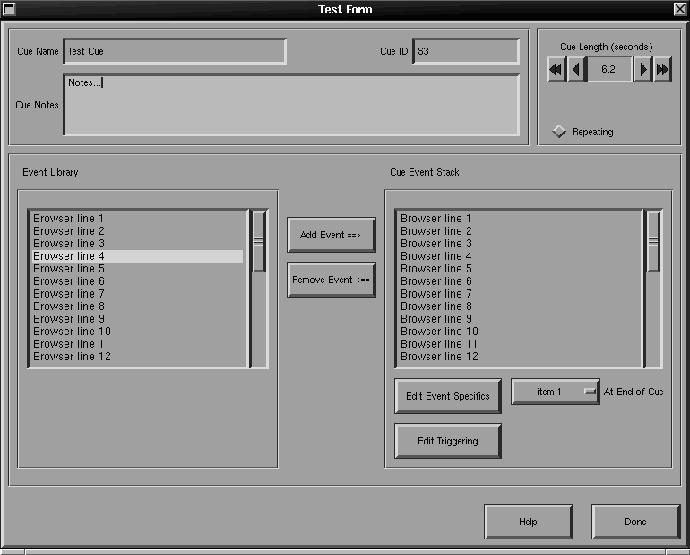 Figure 113 is the form used for editing event triggering options. Time delays and triggering after the completion of other events are possible. Figure 114: Preliminary form for ``build performance stack'' function. Figure 114 shows the form used to build a performance stack. Cues previously defined are added to a chronological list at the right. This list, or performance stack, can be set up to be triggered manually or via time code. While these forms are a far cry from a working application, they are a definite start in the right direction. Given more time, the q2q application will be built, and will likely look something like what these forms present. Plans include later producing a Windows 32-bit version of q2q. This would have the distinct advantage of tying in well with existing Windows audio applications.